Mike Francesa says two-time Super Bowl winner Jeremy Shockey "never saw anything close to a Super Bowl"
Dunking on Mike Francesa’s bad opinions is like shooting fish in a barrel. At this point, it’s part of his charm and appeal. We look to the WFAN sports host for those bad opinions as well as his inane in-fighting with other WFAN hosts and his ability to turn a simple question about a football coach into a magical, confusing moment. Of course, the best part of the Mike Francesa Experience is when he’s just flat-out wrong. Because not only Mike get it wrong, but he usually seems to be so sure of his correctness, so unwavering in his understanding of the world, that it seems impossible to him at the moment that he might not actually be right. I learn new and interesting things from Mike Francesa every day. Today, Mike told us that @JeremyShockey "never saw anything close to a Super Bowl." Such was the case on Tuesday during a call about the New York Giants. The caller was presumably discussing Odell Beckham, the outspoken wide receiver who has been openly griping about the team’s playcalling. The caller says that Beckham “is turning into a Shockey…putting pressure on Eli.” That’s in reference to Jeremy Shockey, the former outspoken tight end who played for the Giants for six seasons before finishing his career with the Saints and Panthers. 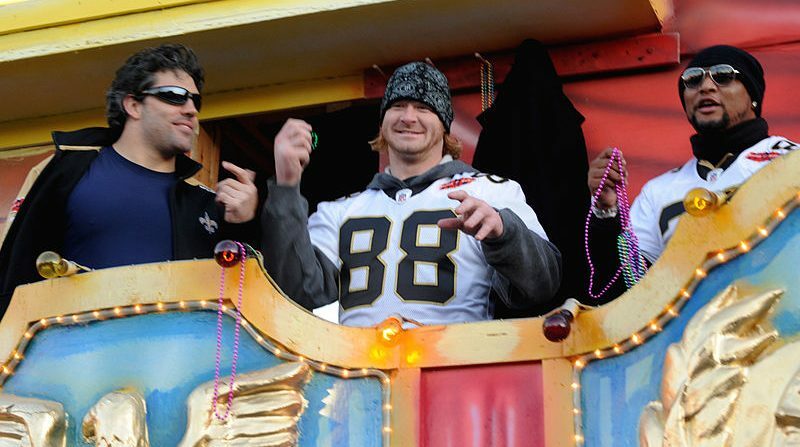 Except…and you probably know where this is going…Shockey was actually a part of two Super Bowl-winners. To be fair, we’ll give Mike partial credit for not thinking Shockey was involved in the Giants’ win over the Patriots in Super Bowl XLII. He’d suffered a season-ending injury in the last game of the season. However, Shockey still got a ring for his efforts. And then he got another one in 2010 when the Saints beat the Colts in XLIV. This time, not only did Shockey play but he even scored a touchdown. Good job, good effort, Mike.